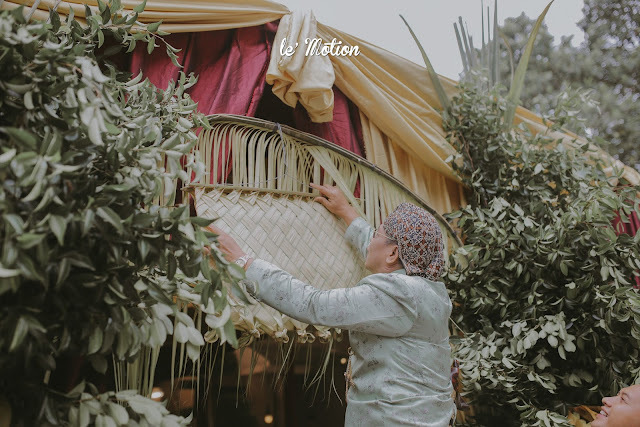 Every region in Indonesia has its own unique wedding culture and tradition. 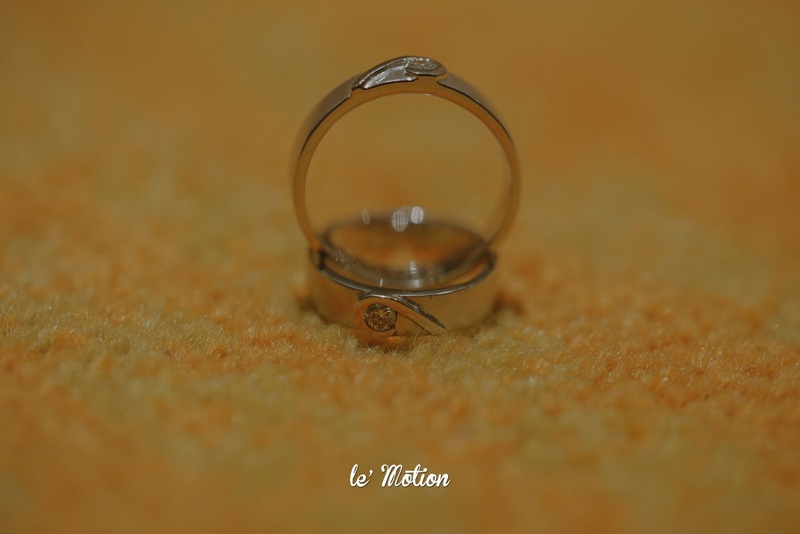 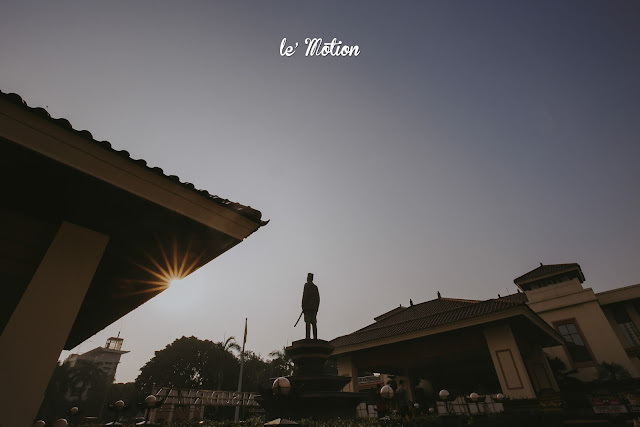 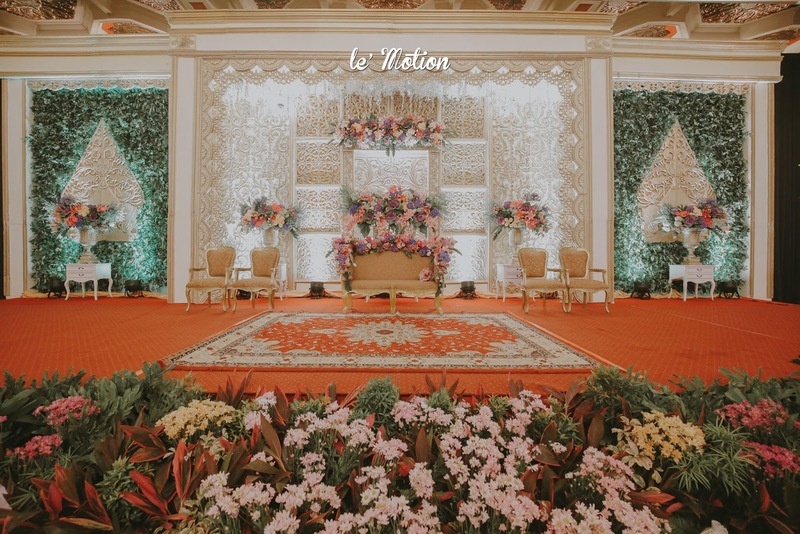 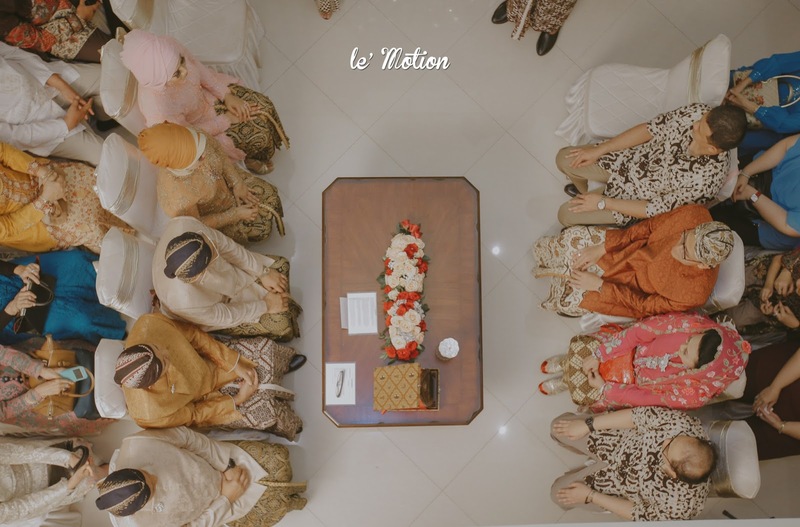 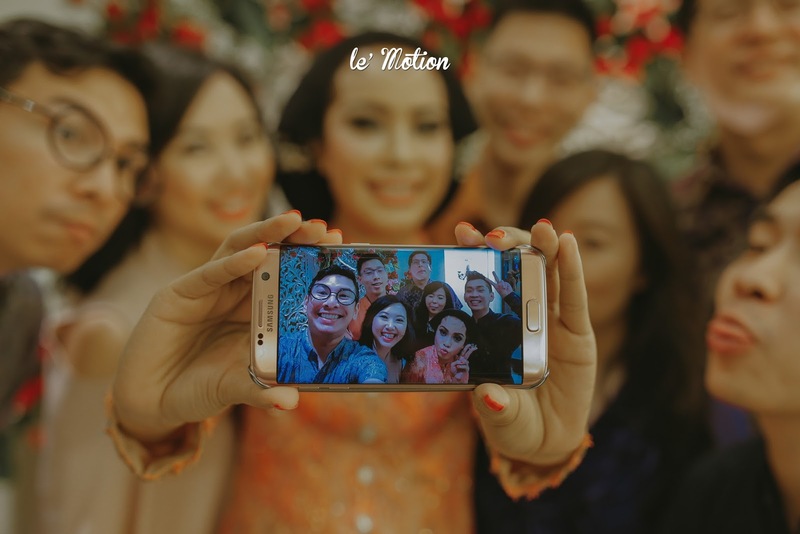 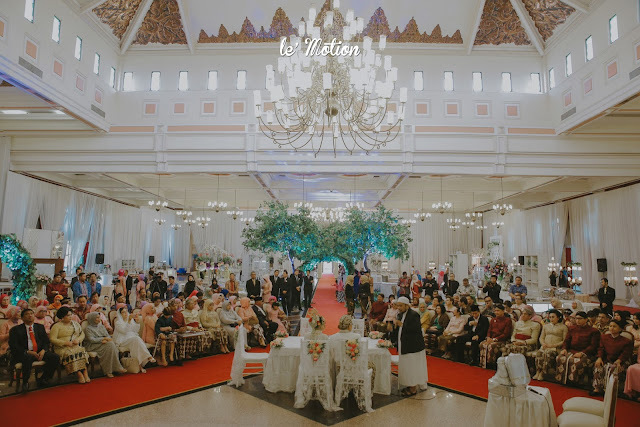 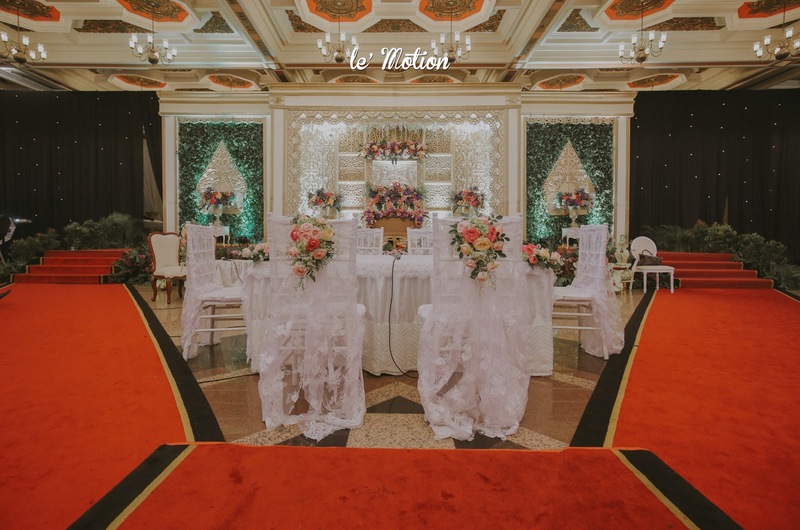 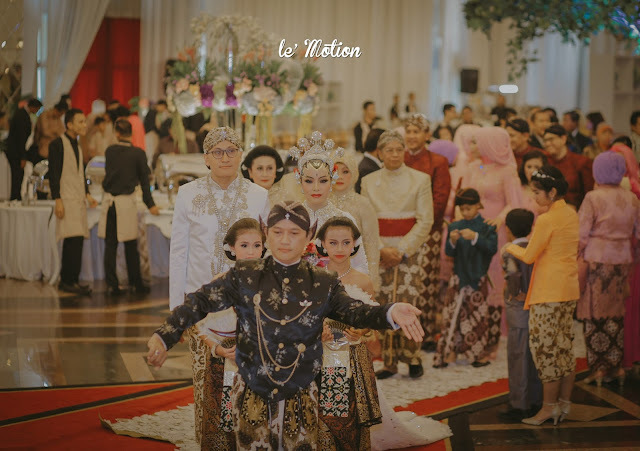 One of the famous wedding traditions comes from Yogjakarta. 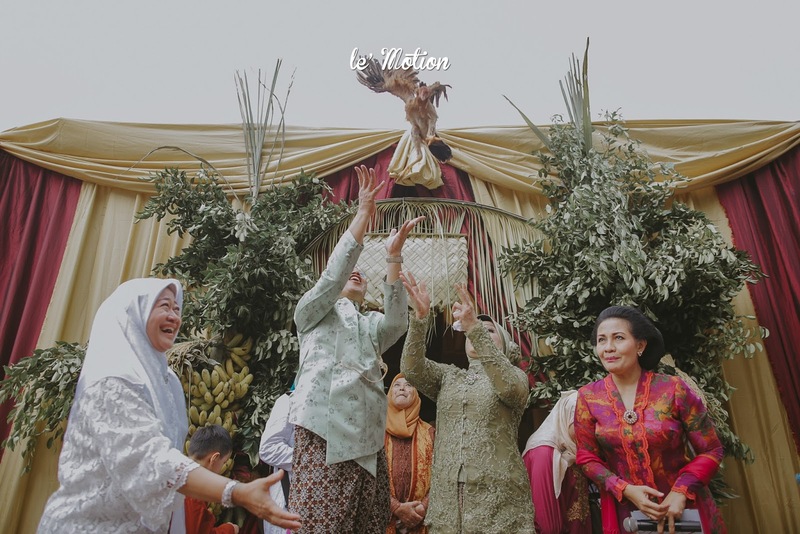 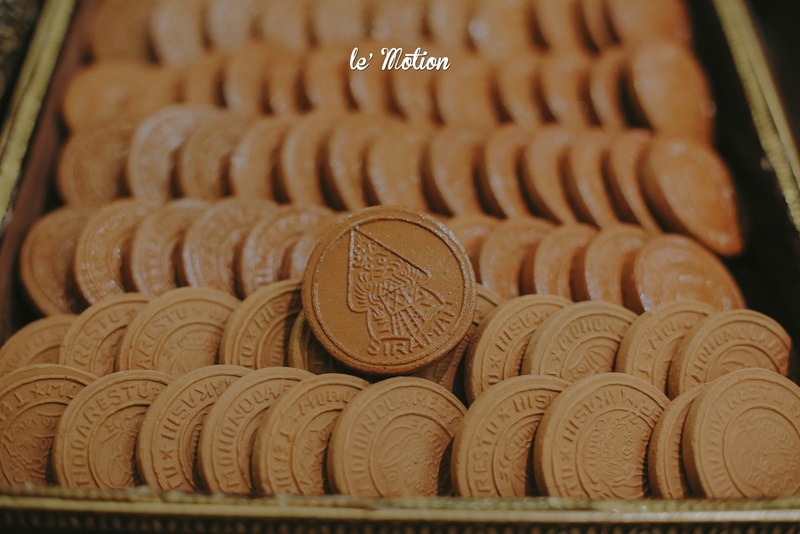 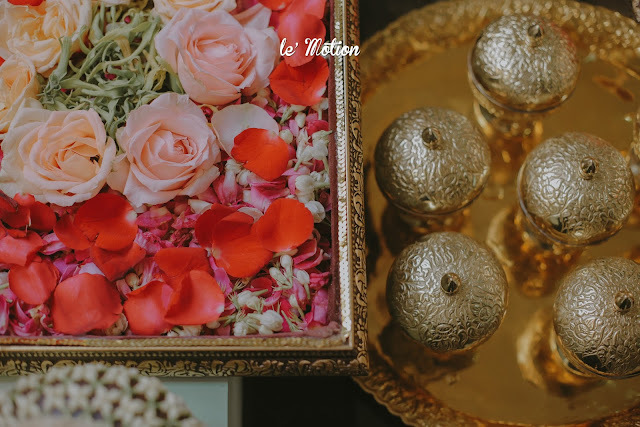 Karina and Laharsa choose this tradition for their special wedding day. Karina and Laharsa traditional wedding ceremony starts with a Tarub ceremony and followed by placing bleketepe, siraman and midodareni. 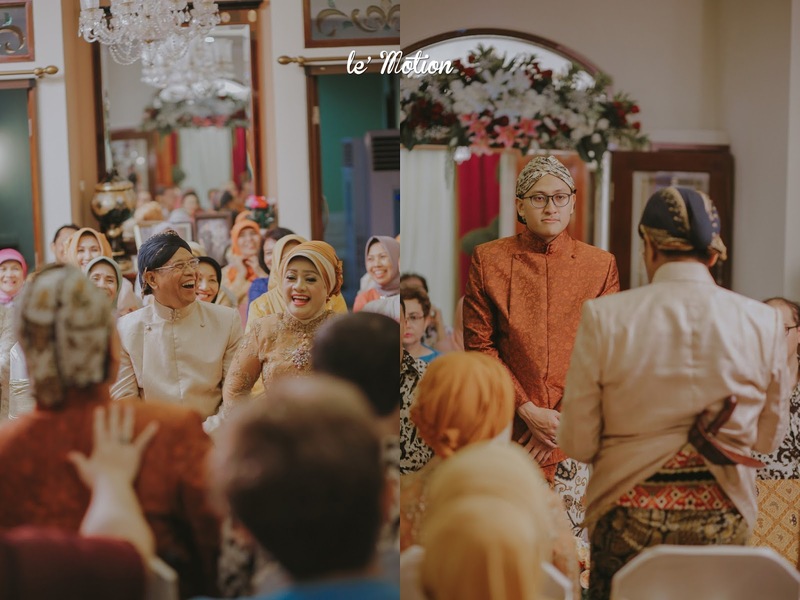 The next day, their wedding ceremony starts with Ijab Qobul and continued by Panggih ceremony. 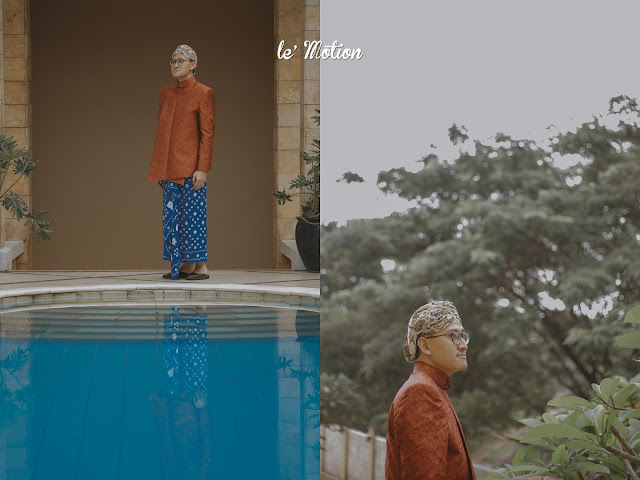 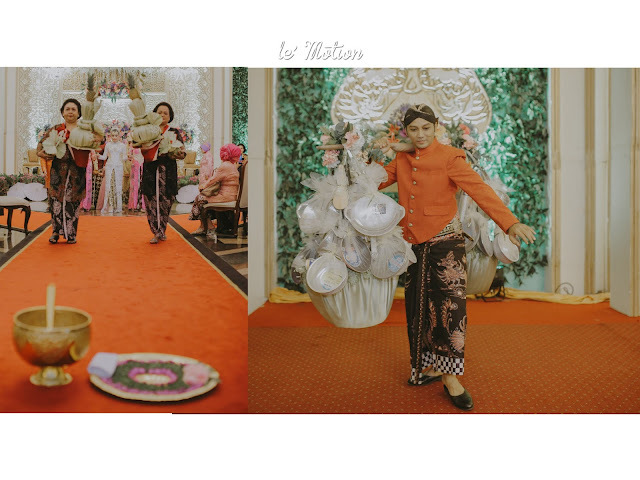 Panggih ceremony is the most awaited part in Javanese traditional wedding ceremony. 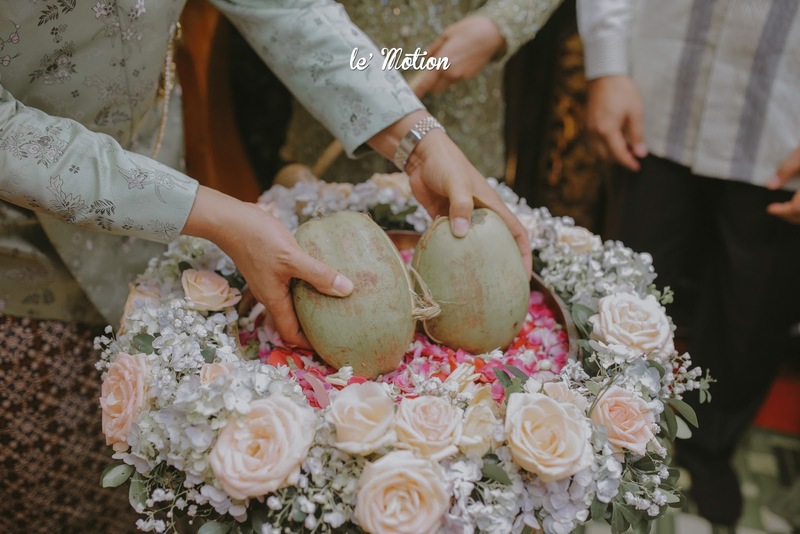 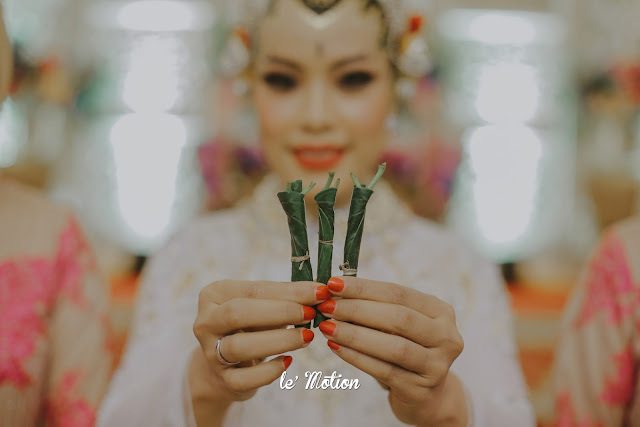 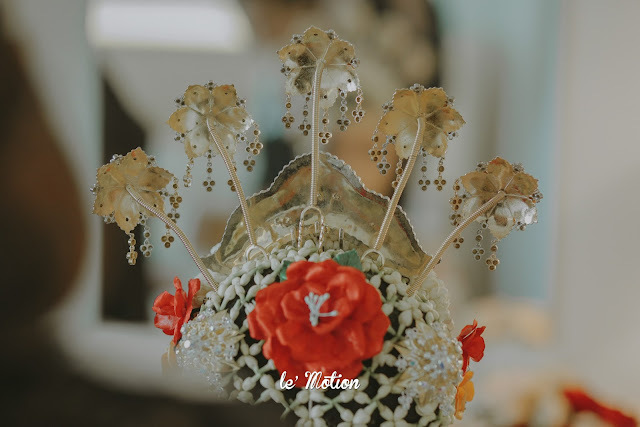 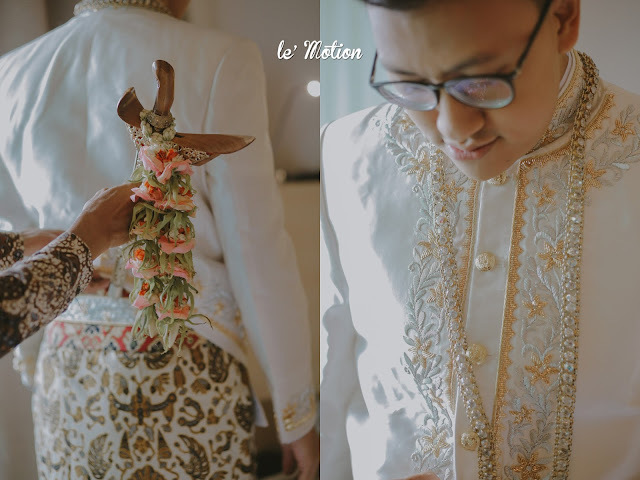 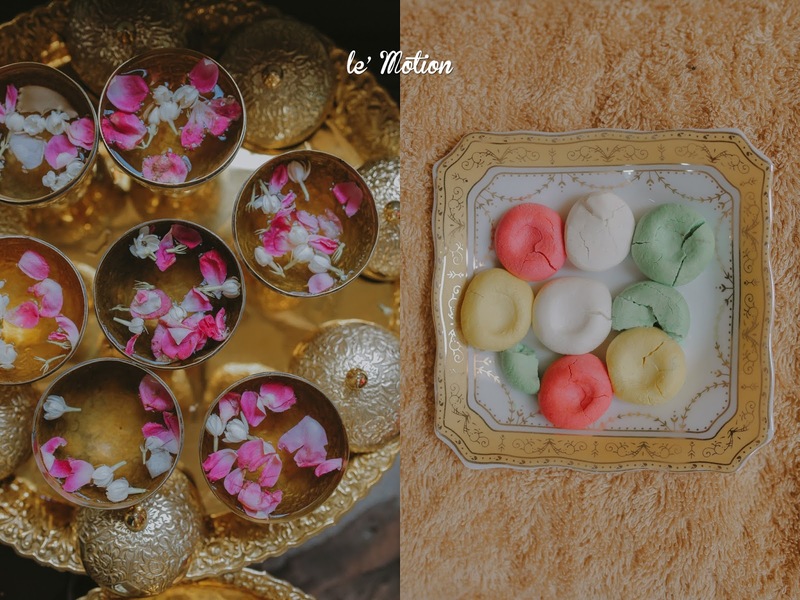 The sequence in Panggih ceremony encompasses the handover of sanggan or commonly known as tebusan, bride walks out of the bride room or nowadays is more of a transit room and starts with kembar mayang and continued by throwing sirih or baling-balang suruh, wijikan and breaks the egg. 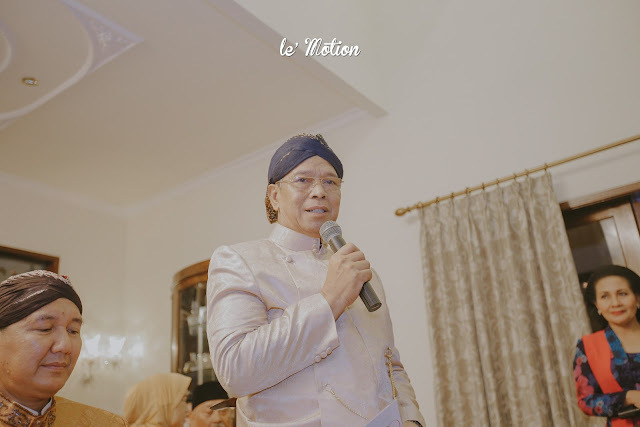 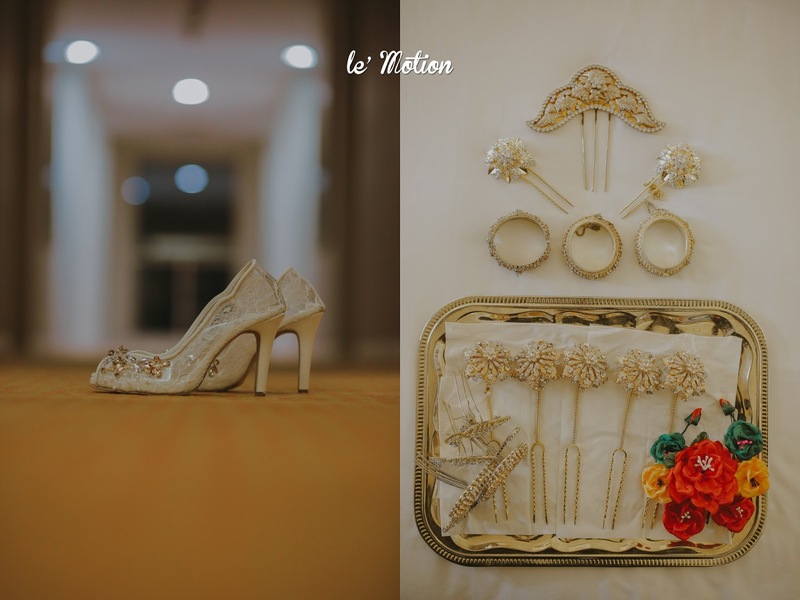 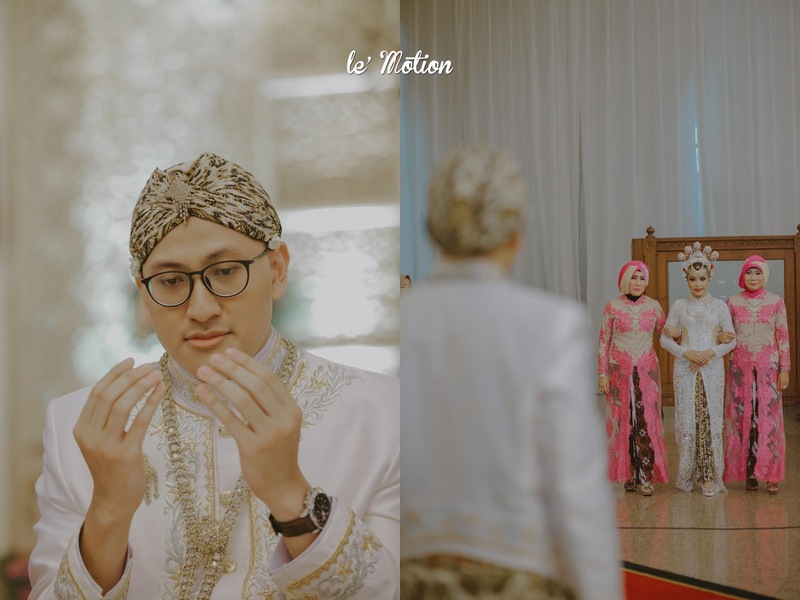 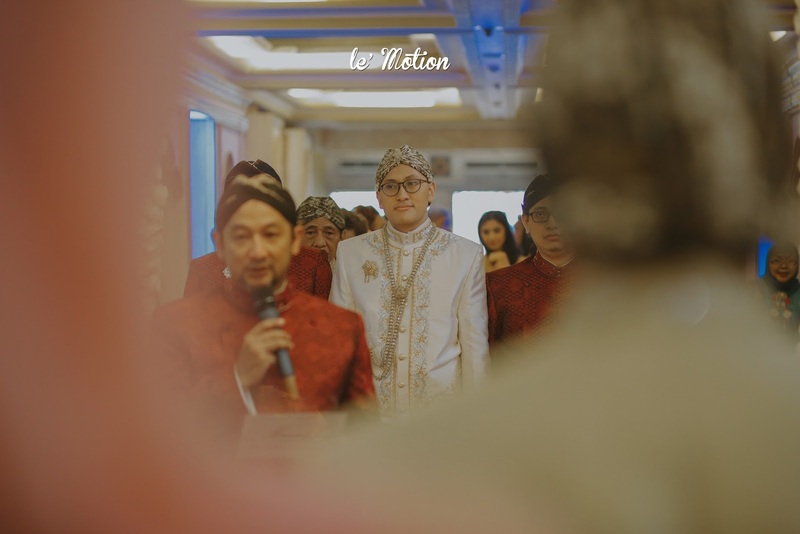 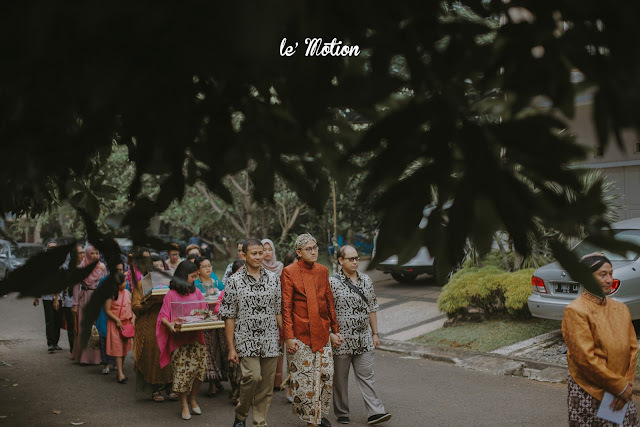 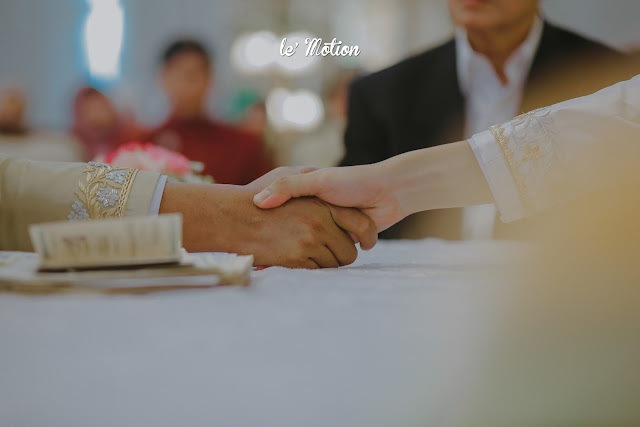 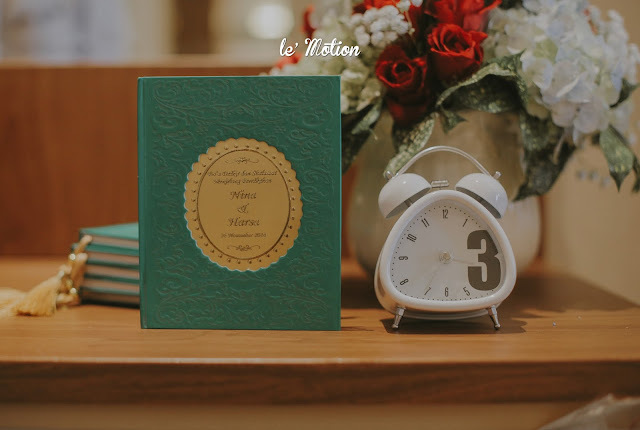 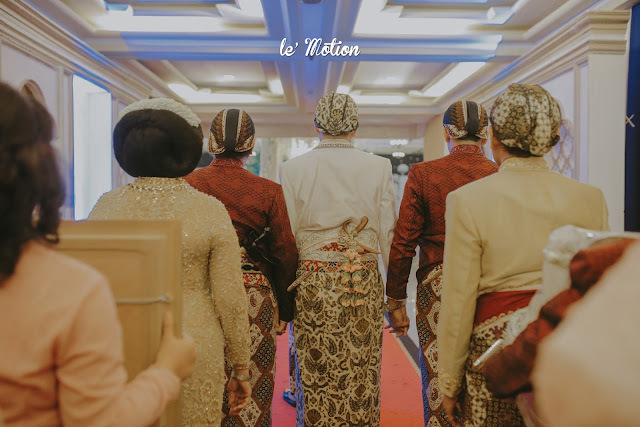 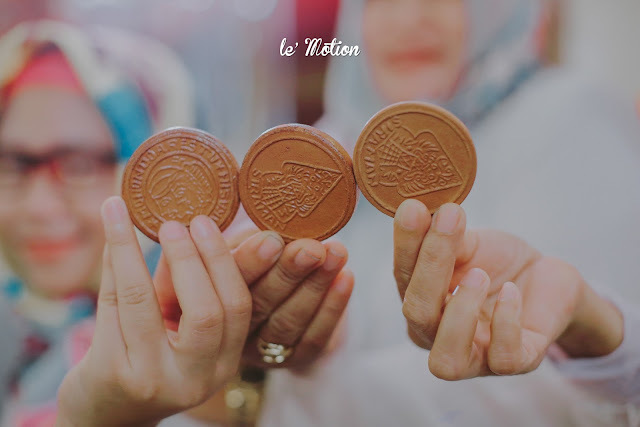 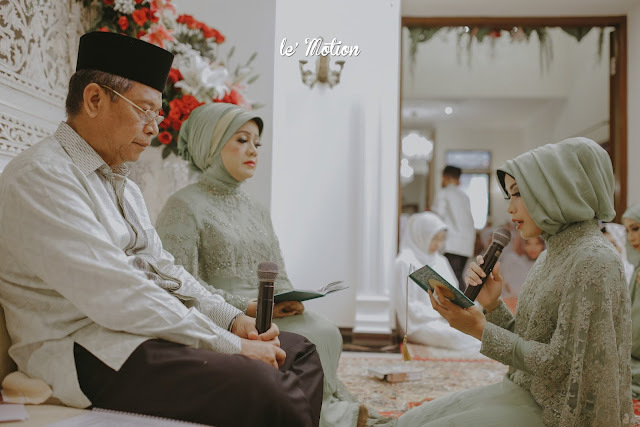 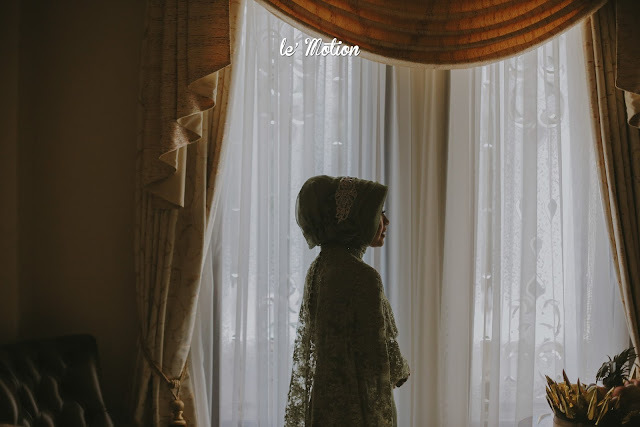 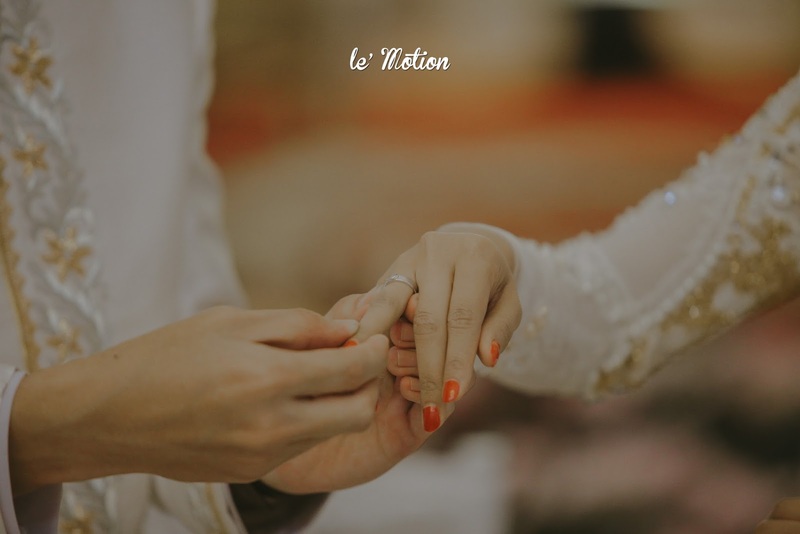 Then, the bride and the groom romantically hold hands as they walk down the aisle, Kacar-kucur or Tampa kaya, Dhahar klimah, pick up the groom’s parents and lastly is sungkeman. 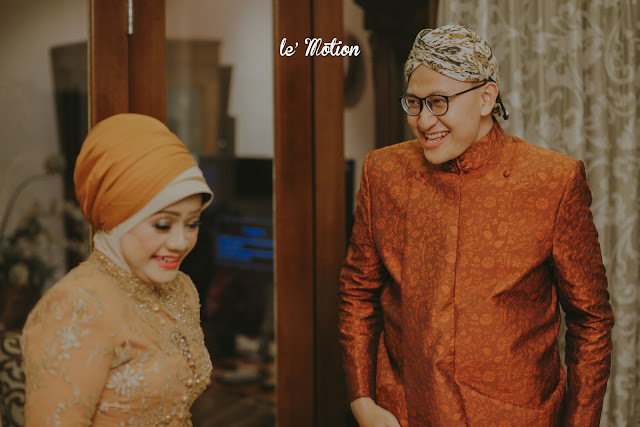 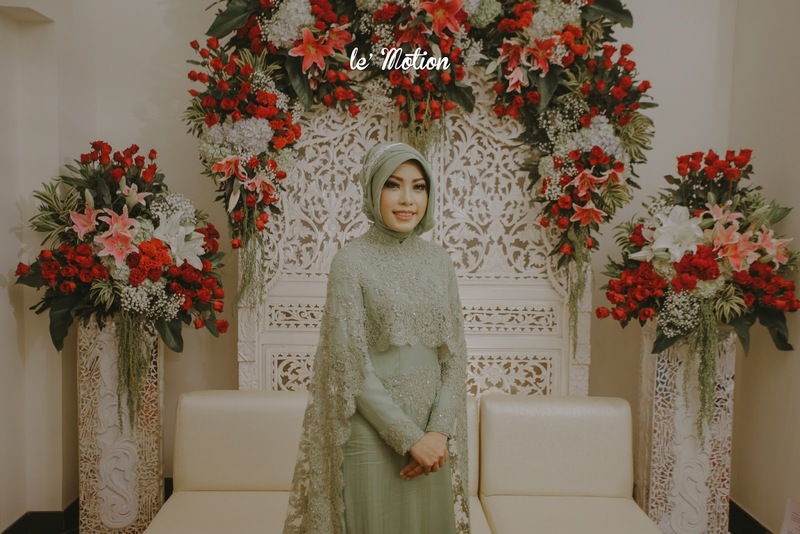 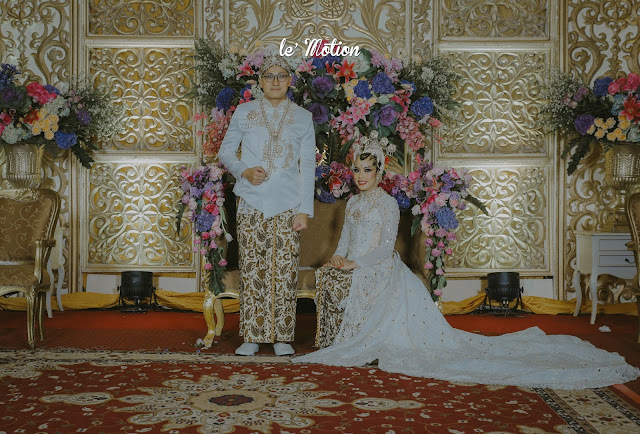 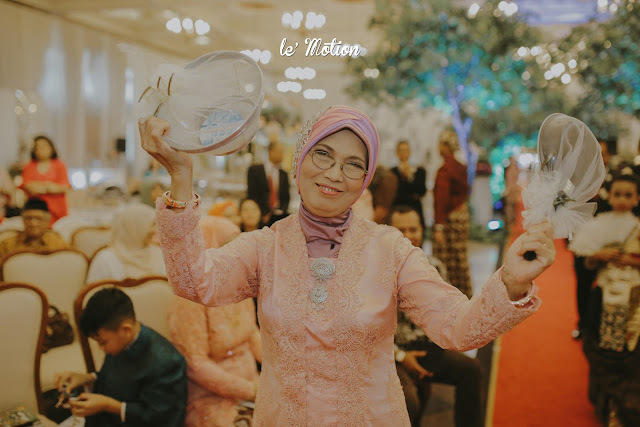 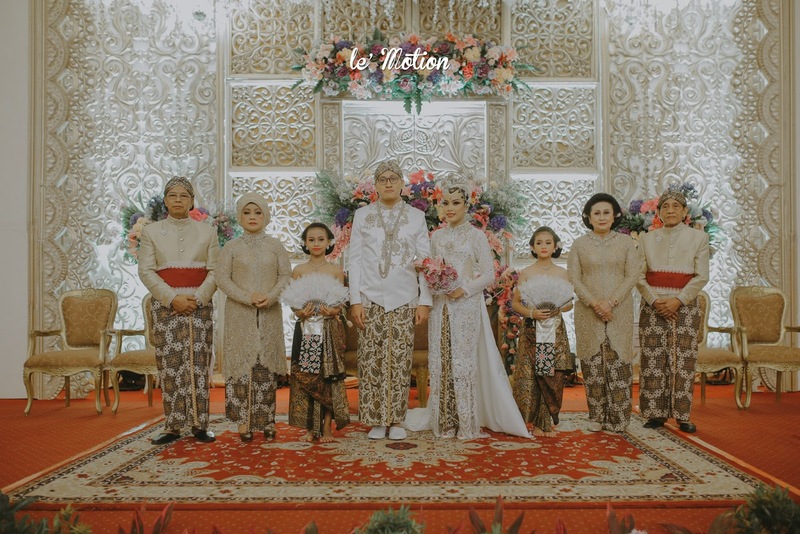 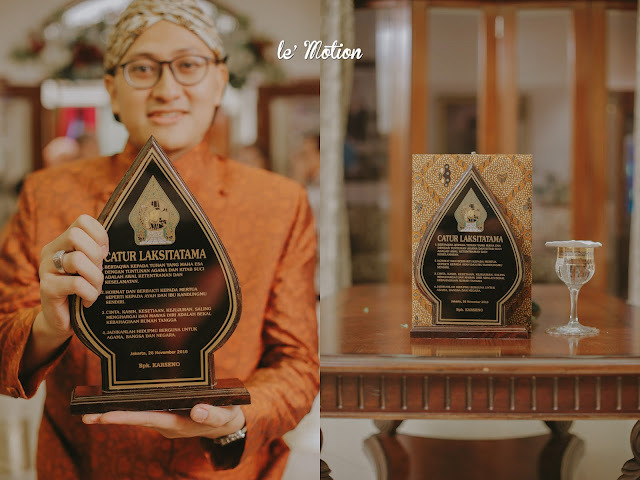 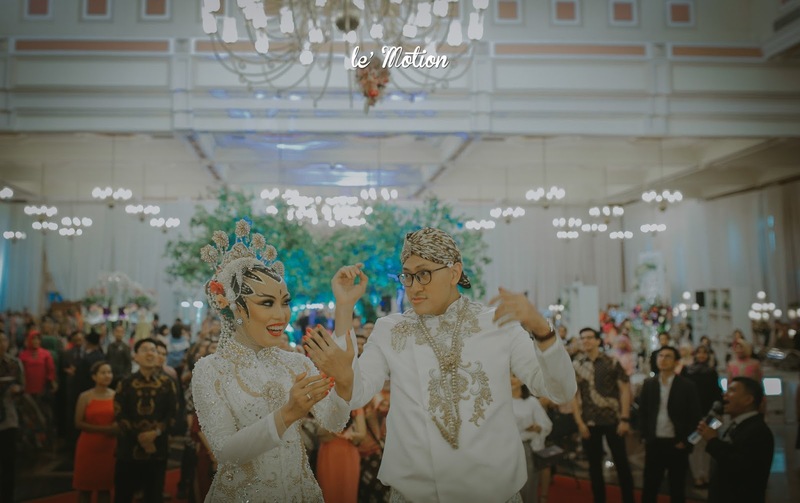 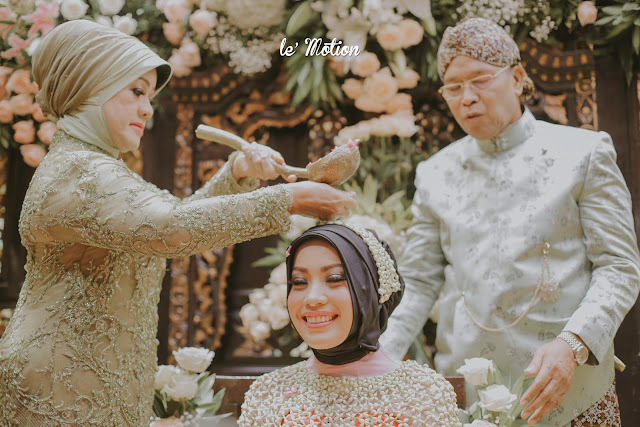 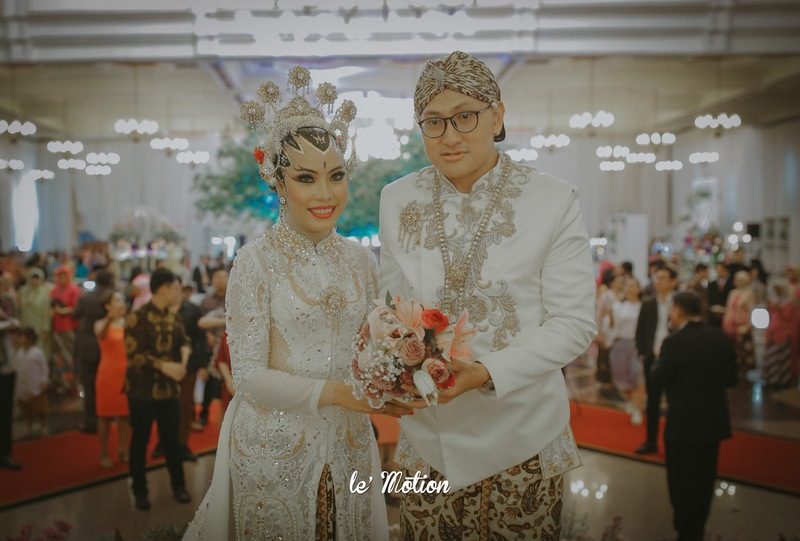 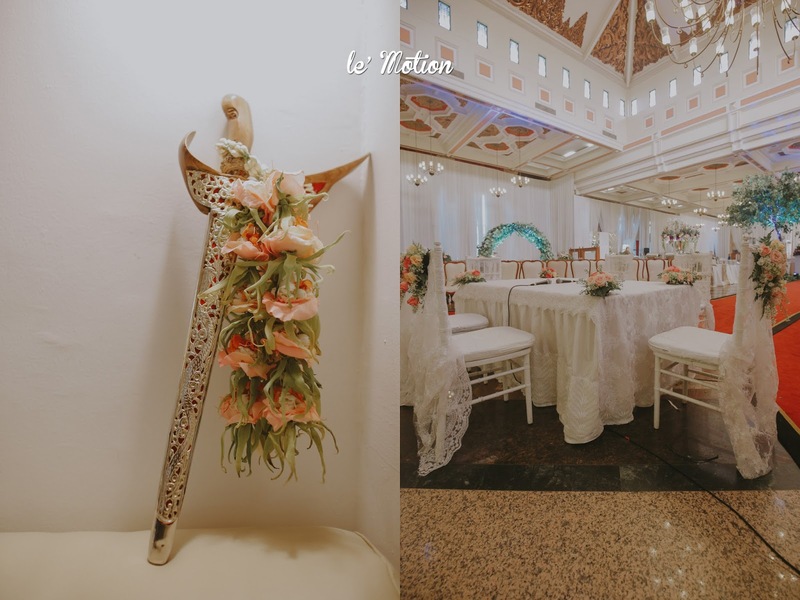 All of the traditional wedding ceremony activities of Karina and Laharsa were guided by Tienuk Rifki and the wedding was going perfectly well. Different from other brides that usually change their outfit for resepsi, Karina and Laharsa choose to use the same outfit as their Akad ceremony. It’s just that Karina added more detail to her kebaya dress. 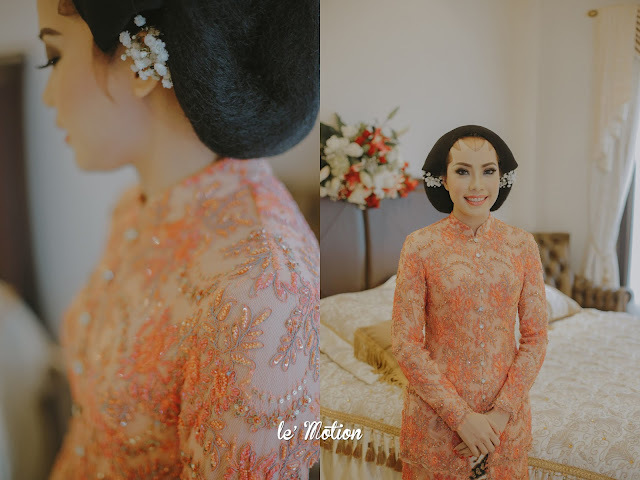 On their resepsi, Karina’s dress was attached with a longer tail. 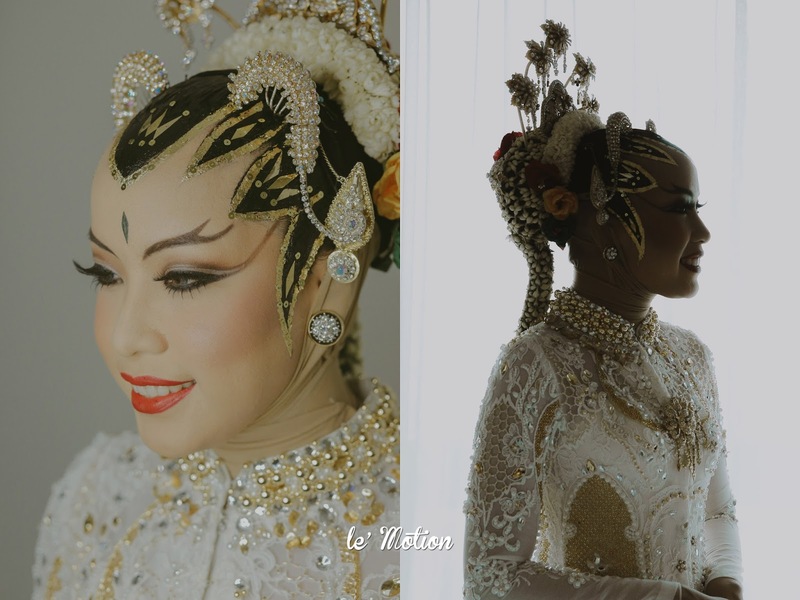 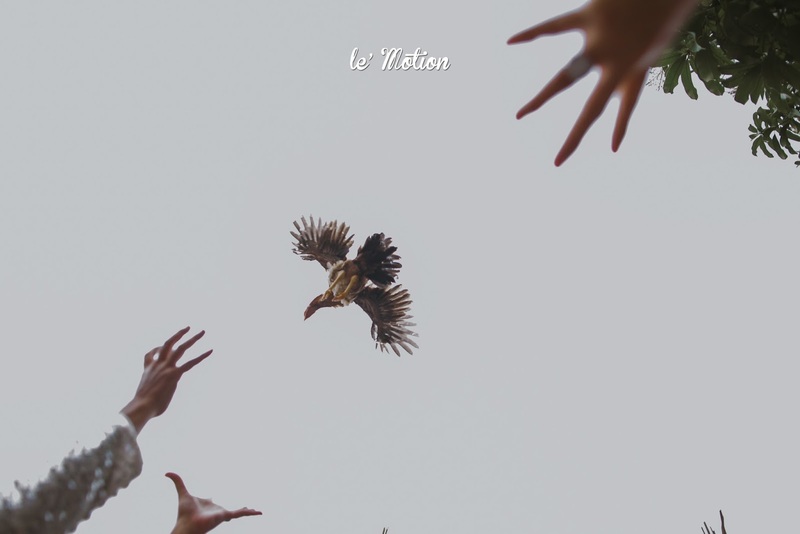 They both look so harmonious together! And also the white and gold champagne decoration fit perfectly beautiful on their wedding day! 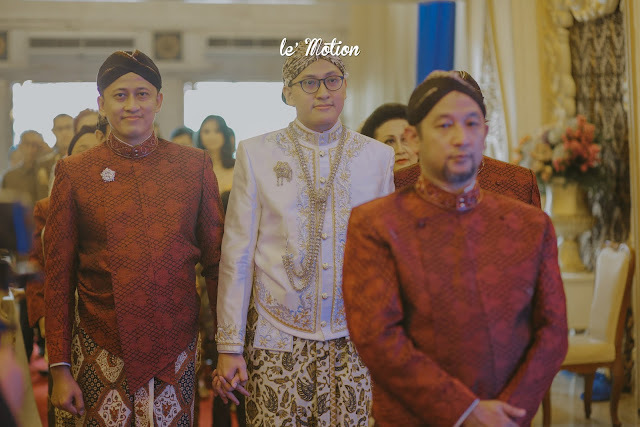 Lastly, we would like to congratulate this newly-wed couple! We wish for a happy long-lasting life together!